How not to get Phished! Cybersecurity for Business Owners. 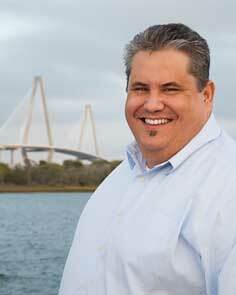 Neadom Tucker is the Owner of Kotori Technologies, LLC a technology firm in Charleston, SC. As the CEO of Kotori Technologies, LLC he helps small and medium sized businesses in the manufacturing, medical and professional service markets, remove the technology obstacles of their organizations which in turn allows them to focus on growth and revenue. Over the last 18 years, he has helped companies save on their IT infrastructure needs and has always delivered on proving it practices. His approach to technology is not about the geeky technobabble but knowing his clients short- and long-term goals. Many companies don’t understand how to leverage technology. As a CTO or CIO, Neadom and him team work with the other C-Level executives to develop plans and budgets to help them achieve their goals. By looking at all aspects of the business, he has saved many clients hundreds of thousands of dollars in building the “Right Solutions.” Many of his clients depend on his ability to close the GAP between business and technology. With the daily security threat that every business faces, Neadom and his team at Kotori Technologies work to make sure their clients are educated and equipped to battle the hackers and their attacks. Neadom was born and raised in Charleston, SC and now lives in Goose Creek, South Carolina with his wife Rene, 5 children Ben, Jewel, Raven, McKenzie and Chayton and his four legged canine children Huck and Ditto. He is Native American from the Osage Tribe in Pawhuska, OK and he and his family participate in their Native American culture by singing and dancing in the traditional ways. He strives to teach his kids the value of culture and tradition. He is also an avid lover of Clemson Football.